Browse the latest bridal trends. From mermaid gowns to classic silhouettes, you'll find dozens of bridal trends that will be the perfect match for your wedding and personal style. You'll want to find a dress that suits your body type and, if you're planning an outdoor wedding, will keep you cool and comfortable in the hot desert sun. Know your budget. The sky's the limit when it comes to wedding dresses with prices ranging anywhere from a few hundred to a few thousand dollars. You'll find a mix of both off-the-rack and custom or designer styles at various boutique stores around Phoenix so there's something for every budget. Set up a consultation at multiple stores. Get an expert opinion on the right type of dress for your body type and personal tastes at bridal shops around downtown Phoenix. Some popular stores include Almond Tree Wedding Boutique, Brilliant Bridal, and Azteca Bridal. 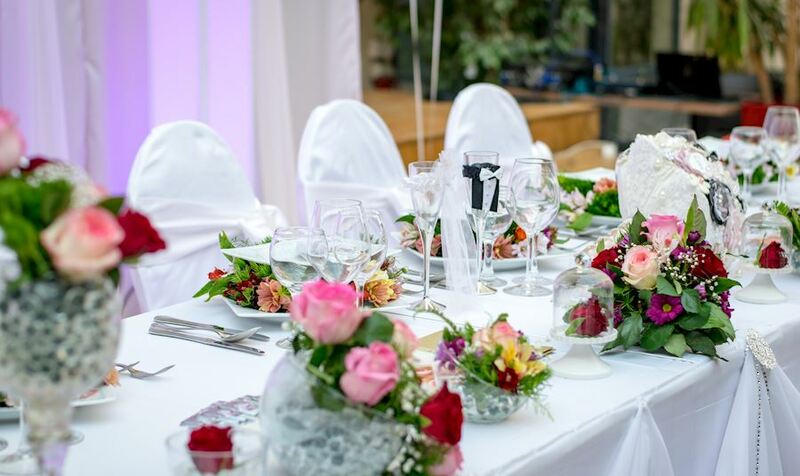 When you're planning a wedding in Phoenix, choose a venue that provides the extra space and services you need to impress your guests. The Crowne Plaza Phoenix Airport offers more than 15,000 square feet of event space and a pool deck that's perfect for banquets and receptions. Learn more about our inspired wedding packages and expert planning services to make your celebration a truly memorable one.